You drive a Porsche because you love speed and luxury. Unfortunately, when you need to have keys copied or replaced, you’ll generally get neither. Trying to have your keys replaced is a hassle that usually involves taking a trip to a dealership and waiting. Thankfully, Door N Key Locksmith is here to help make things a whole lot easier. 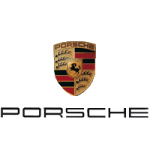 We are proudly trained Porsche locksmiths, which means we can easily produce copies or replacement keys for your beautiful automobile. We’ll also repair or replace the key fob for you. There’s no need to waste your time and money going to the dealership when our experts are available. Because we offer 24 hour service, you always have an expert in your corner. The next time you’re in need of replacement keys, simply give us a call and we’ll arrive in a fully loaded van to resolve your issues right away. Don’t spend the extra time and money going to the dealer when you can have one of our dependable professionals help you out at a fraction of the cost. Night or day, rain or shine, we’ll be there to get you the Porsche keys you need so you don’t have to go through any extra hassle at all.